Would you recommend Dr. Amanda Lloyd? Would you like to recommend Dr. Amanda Lloyd to your friends & family? Social Proof Reviews - Dr. Amanda Lloyd! Dr. Amanda Lloyd, a former member of the UCLA cheerleading squad returned to campus to teach the current UCLA Spirit Squad about skin care and sun protection. Dr. Amanda Lloyd gave two lectures to her fellow Dermatologists at this years American Society for Dermatologic Surgery annual meeting in Chicago, IL. 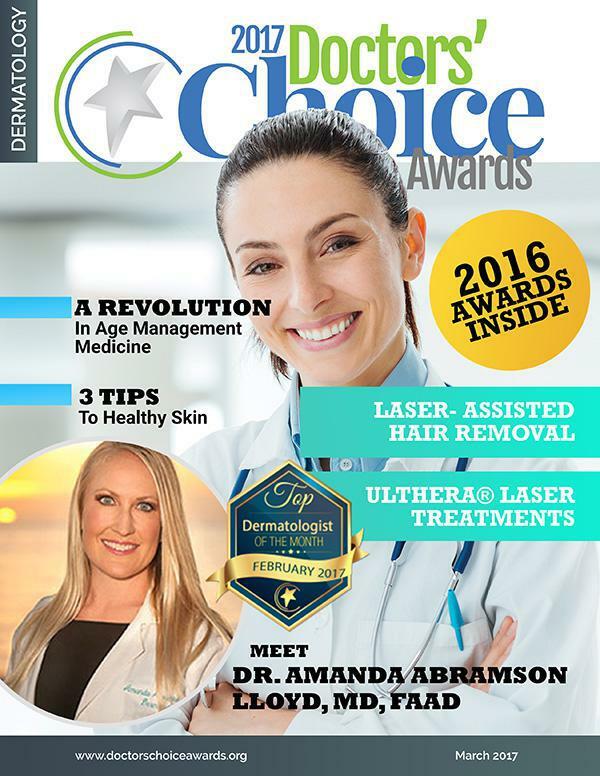 Dr. Lloyd was featured in the Top Doctors Doctor’s Choice Award 2017 magazine. Dr. Amanda Lloyd lectures the UCSD Dermatology residents, to help prepare them for their board exam and life as dermatologists outside residency. Dr. Amanda Lloyd attended the American Academy of Dermatology Annual Meeting this month to share and discuss the most cutting-edge topics in Dermatology. We offer the Excel V treatment to help our patients rejuvenate their skin and restore its youthfulness. Listen to one of our many satisfied patients give their testimonial about how their Excel V treatment went! We are committed to giving our patients nothing short of the best when they visit us. Listen in to what one of our patients has to say about their experience during their visit to our practice! Get your Fountain Pens ready to do some Silent Bidding! Here is a peek at some of the donors who contributed to our amazing auction packages! The people who recommend Dr. Amanda Lloyd!